Designed to assist Surgeons with ease of access and convenience of communication, in their daily lives as surgeons. 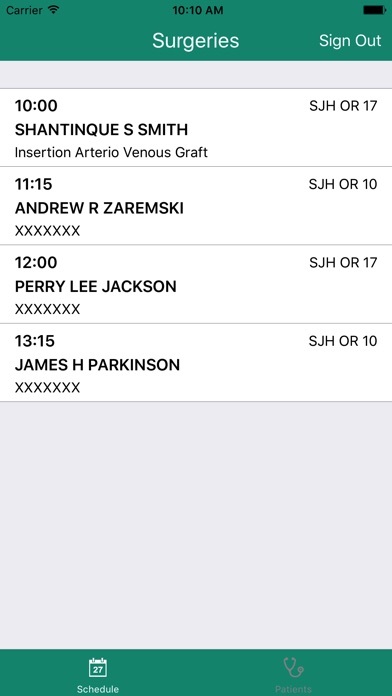 The application will provide visual access to daily schedule with patient updates of status as patient's progress through the surgical process. 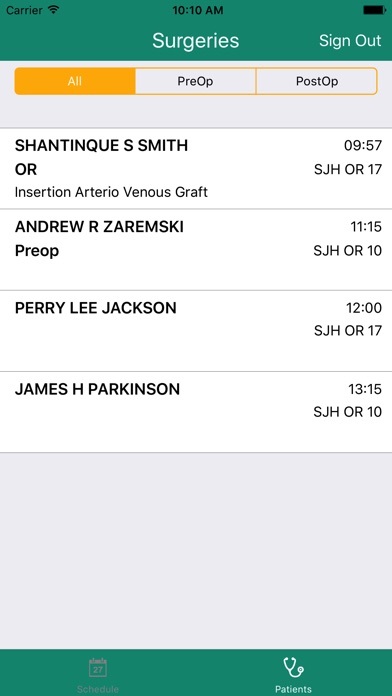 The application will provide planned individualized schedule and updates to that schedule based on preceding event, cancellations, or changes based on current day surgical activity. The application is only applicable to St John's Moross, and will require St John/Ascension log on credentials to gain access to the application and accompanying data.